There hasn’t been a defending Super Bowl champion with a quarterback question this glaring since, well, the last time the Broncos won and their QB retired. (Brian Griese did not turn out to be the answer.) But Denver enters free agency with Brock Osweiler unsigned and reportedly very interested in hearing what the Texans have to pay say. But the Broncos reportedly have a contingency plan, and it’s a doozy. We know Kaepernick wants out of San Francisco, I want this to happen, not because I think it’ll be good or bad but because it has the potential to be hilarious either way. 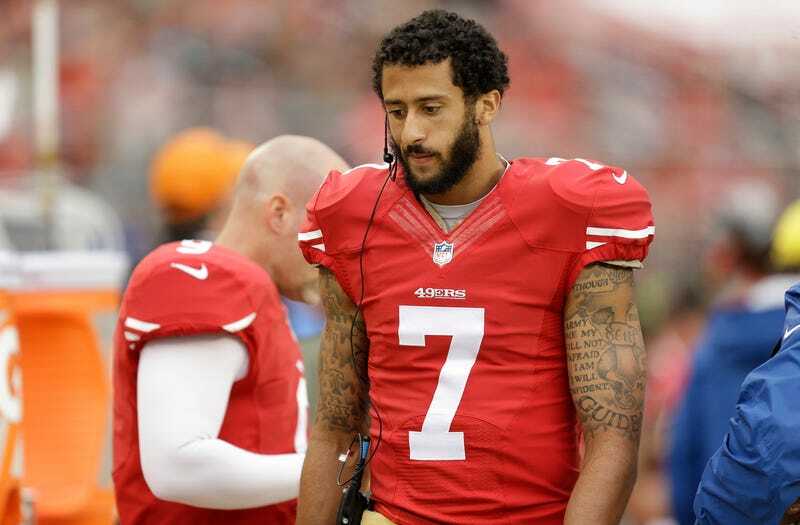 Maybe they rediscover Kaepernick’s mojo and make the 49ers look dumb. Maybe Kaepernick is a bust. Maybe it turns out that the Broncos mess up big time by letting Osweiler walk. Maybe Osweiler’s a bust, no matter where he goes. Maybe everyone’s a bust and Manning has to be talked out of retirement! The possibilities are endless. The Broncos have spent four years waiting on Osweiler for just this moment, except they didn’t expect Manning’s retirement to coincide with the end of his rookie contract. They’ve got to determine whether they think he’s any good, whether his talent is worth what it’ll cost to keep him (plus a premium to outbid the desperate Texans; there will be no hometown discount for the Broncos after they benched Osweiler after he went 5-2 as a starter), and whether Kaepernick is a valid backup plan. None of these are questions with easy answers. Thankfully, quarterback might be one of the less important positions on the Broncos roster. That defense is so incredibly great that they really just need a signal-caller who won’t actively thwart them—and Manning, for all his faults, avoided many major mistakes in the playoffs. Can Osweiler protect the football as well as he protects a pizza? Can Kaepernick? ...Could Tebow? For the record, those ‘99 Broncos went from 14-2 to 6-10.